Want to turn a ul into a list control, use data-role="listview". jQuery Mobile is very easy to learn, and because of that I think it is going to be a very successful project. I was able to rewrite a jqTouch app into jQuery Mobile in a couple hours, using a majority of the features. So which is better jQuery Mobile or jqTouch? Right now jqTouch is a bit more stable, but I much prefer working with jQuery mobile, and I'm confident they will iron out all the issues. I was actually able to work around all issues I had, and for an Alpha release it's actually pretty well done! Look for some more blog entries on jQuery Mobile in the coming weeks. 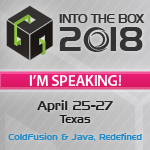 I am going to be giving a presentation on using it with PhoneGap at my local ColdFusion User Group meeting in December, so I'll be sure to post my slides here. Nice Pete! I'm using jQuery Mobile for http://Refynr.com to good effect. I've not used any custom jQuery code, yet, and am already happy with the results. I just wish it looked better in IE (only tested on IE 8 so far), but I'm liking how it looks and behaves in Android, FF, Safari, and Chrome! I spent today trying out jQuery Mobile as well. While I do like what they've done with it so far, there's definitely some room for improvement. And I kind of wish they would provide some more raw code examples: doing View Source on the demo pages doesn't really give you the current code. @Aaron, yes I saw your implementation on refynr.com, very nice! I'm running into the same listview+AJAX = no styling problem. I'm just loading the CDN version from their site (http://code.jquery.com/mobile/1.0a1/jquery.mobile-1.0a1.min.js). How did you get a later version? @John B - I went over to https://github.com/jquery/jquery-mobile and downloaded the latest. Be warned though that is not necessarily going to be a stable build, since it is just the latest from their version control. @John I should also mention that you will need to run their Makefile to compile all the source into a single distribution file. If you are on a mac you can just run type make zip from the Terminal. 1. On their github page, I would click the "Download" button on the top right. 3. Then "run their Makefile" to create the single CSS and JS files. 4. Include the new files on my site instead of their 1.0a1 version. It's step #3 that's a little confusing. I have both a Mac and a PC, but all my dev experience is in the PC world. How would I make that happen? @John - Yes your steps are correct. For step 3 on your Mac, open the Terminal.app and then use cd to navigate to the directory you extracted the files to in step 2. Once you are in that directory type "make zip" into terminal (without the quotes) and hit return. That should build new js and css files from the downloaded source. That worked! Thanks a lot Pete. Is there an equivalent to the refresh call that can be made on listviews to fix the same problem with forms? @John, there is a refresh method for the selectmenu widget, which can be invoked as $('select').selectmenu('refresh', true); the second argument (true in this example) determines if the list should be rebuilt from scratch. Were you looking for a refresh on another form control? Hi, really jQuery mobile rocks! can you please post your slides providing info about PhoneGap too?